In November, Wuppenif nominated the Dark Creek Farm blog for a Versatile Blogger Award. I was simultaneously delighted (thank you, Wuppenif!!) and horrified (it turns out there’s quite a list of rules associated with this here award…) Of course, the award landed in my blog comments right when things were getting even more insanely busy around here than usual. As a result, I haven’t had a minute to even think about compiling a list of my favourite blogs and seven things about myself. With the conclusion of the 30-Day Farm Blog Challenge, I can take a quick breath before launching into my next project, participating in the NaBloPoMo challenge for December. Yes, I think I have officially lost my mind. 2. Here’s a link to the blog… So far, not so difficult. 4. 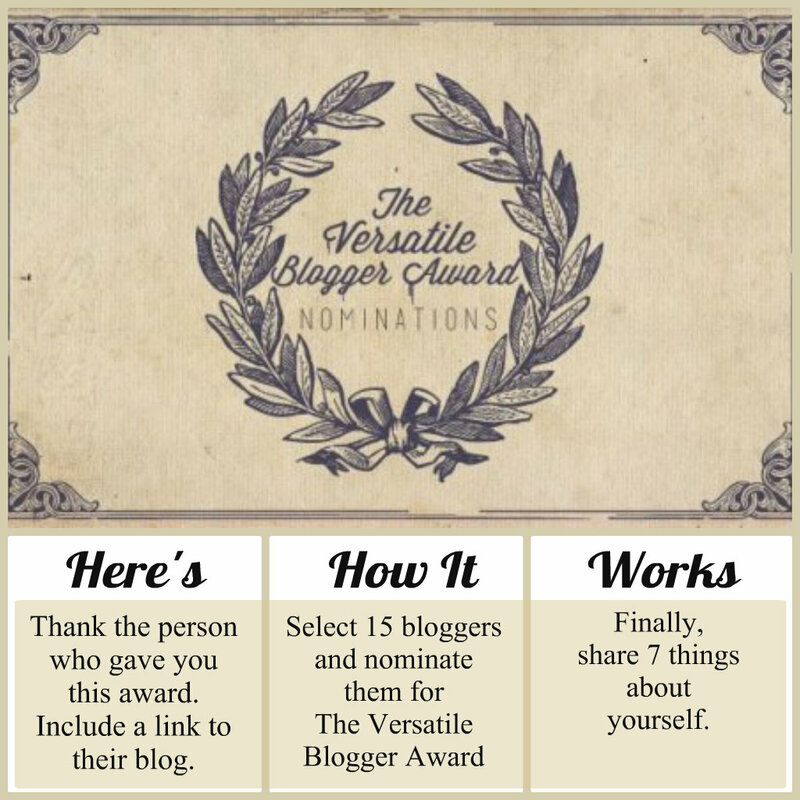 Nominate those 15 bloggers for the Versatile Blogger Award — you might include a link to this site [I’m not actually a hundred percent sure which site that would be… Is there an official Versatile Blogger website? Must do more research…]. I’m not actually sure how to do this part officially, so I’ll post the seven things here and then let Wuppenif know I’ve done so over in the comments of that blog… If I missed something obvious, oops! i. I have way too many books. I used to think it was not possible to have way too many books, but I have discovered I was wrong. I am in the midst of a major cull that will see my collection cut by 75% and that will still leave me with … yes, way too many books. This, I try to remind myself, is why the world has libraries, so one person does not wind up with way too many books. ii. I love libraries. Which is a bit weird, really, for someone who has way too many books. Why I would ever need to set foot in a library is beyond me because even with my vastly reduced (and still shrinking) collection, I could read all day long, every day and still not get to the end of what I have right here because… I don’t even have to say it… I have way too many… You get the point. iv. I love tree houses. I would like to live in one. Again. I did spend a lot of time living in a tree house back when I was a teenager. At the time, we lived in Fort McMurray waaaay up in the frosty northern end of Alberta. Each year at about this time I think about how very, very cold it was out in the un-insulated tree house and how I would have to eventually give up and slink back into the actual, real house until after the spring thaw rolled around again. When I build my ultimate dream tree house it will have a cozy wood stove and most excellent insulation. And, it will be located somewhere other than Fort McMurray. Before embarking upon a project like this, one should be prepared. Hence, the need to read many books about tree house construction. v. The other dwelling I would love to build is a vardo. Gypsy vardos are, quite simply, gorgeous. I have a half gypsy cob mare who will pull me and my glorious wagon all over North America. That, I believe, is when my blog will get interesting. vi. My all-time favourite sweet treat is chocolate-covered macaroons. 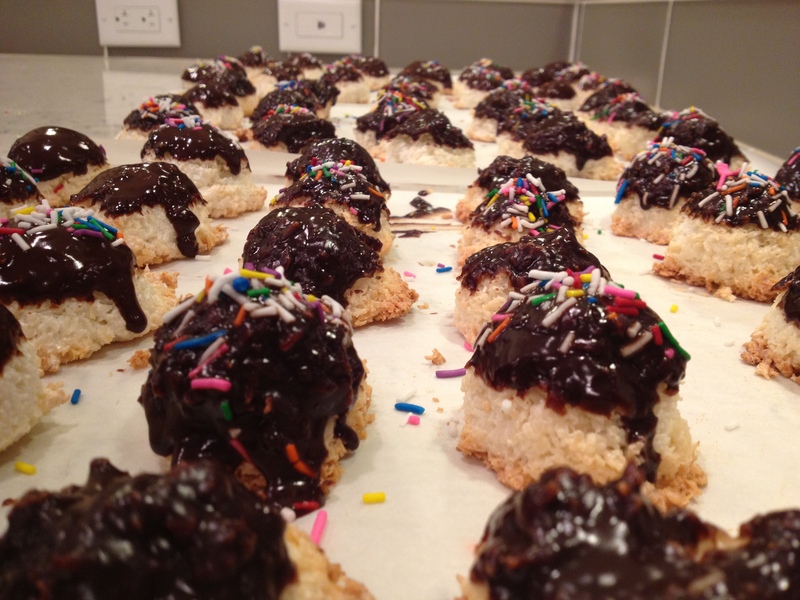 I found the recipe for these chocolate dipped macaroons in, yes, a library book called The Art of the Cookie: Baking up Inspiration by the Dozen, by Shelly Kaldunski. The book has so many good cookie ideas, in fact, I am going to order myself a copy (you see how easy it is for a total biblioholic to get into trouble?). Until then, fines are adding up as I have renewed this book the maximum number of times allowed but I have not yet reached the end of the Christmas cookie baking season. vii. And, finally, one place I’d love to go before I die is Outer Mongolia. If anyone has a whole whack of airline points they’d like to get rid of, I’d be happy to help you out. While I’m waiting for those points to be transferred, I will make my way through the shelf or two of books on Mongolia I have been collecting over the years and which have earned an exemption from the Great Cull. Unlike the books about growing cool cactus and succulents, which have found good homes on other bookshelves. This entry was posted in Blog, Uncategorized and tagged books, libraries, macaroons, NaBloPoMo, tree houses, Versatile Blogger Award. Bookmark the permalink. AWESOME!!! Congradulations on your Versatile Blogger Award! Thank you! I have to tell you that Wuppenif nominated me too – the exalted company we keep :). I just haven’t got my Versatile Blogger nominees organized yet – too many too choose from. Yes, congratulations! Totally agree about the books and love of libraries. Ditto on the chocolate covered macaroons too. Outer Mongolia- hmmm- ? Thanks for a great month of entertaining and informative reading. Congrats! It seems we are both book junkies! i came upon your blog through Nanoblomo, and well, from what I’ve read so far, I love your blog! I look forward to reading more. much more. some day I want to live on a farm. someday (soon) I will also blog about this dream of mine. congrats on your award! and I too am a self-proclaimed book junkie. there are 15 bookcases in my home and 12 of them are full of books,the other three house my extensive dvd collection. there are so many books they often spill over onto a nearby table, and sometimes even the floor. it is said that the people who read a lot live several lifetimes while people who don’t read live only one. what do you think? Found you through the BlogHer NaBloPoMo Soup and just had to say congratulations on your award and that I’m looking forward to reading your posts throughout December (and beyond)! Also that Vardo looks amazing! Very quirky and intricate and the colours are so wonderful….I think I may want to build one of these myself now.